After a heated campaign, Donald Trump was elected to become the next president of the United States. His victory reflects the population's strong aversion against the political establishment and deep-rooted fears with regard to globalisation, free trade and migration. The American people have voted for change. Despite the odds running against him, Donald Trump was able to collect enough votes to become the 45th president of the US. The campaign was one of the least factual election campaigns of modern US history and rarely has an election campaign been more focused on the candidates' personalities and less on policy. The new president governs a divided country with millions of people full of mistrust of the government and the political system. Donald Trump's success is an indication of how fed up and tired a large part of the US population is with the political establishment and the gridlock in Washington. Trump has successfully exploited the political disillusion among large parts of the population and the middle classes' fears with regard to the country's future and their own economic prospects. Trump is able or even willing to do so is questionable, as he fuelled suspicion and hate against his political opponents. With the Republicans keeping control of both houses of Congress there is hope that more moderate forces within the GOP will gain some influence on the political process. Without having to share power with the Democrats, the Republicans have the chance to legislate their way. The big question is whether Trump follows up on his pre-election pledges or whether he will step back from his most extreme positions. The US economy is doing better than many other countries in the developed world, but the growth potential seems to have diminished over the past decade, due to less favourable demographics, lower productivity and weak investment. Donald Trump pledged both tax cuts and more fiscal spending during his campaign, which is likely to be supported by the Republican controlled Congress. Infrastructure spending would support the economy in the medium-term and improve the longer-term growth potential. If implemented in a well thought- out manner, it could push the US back on to a higher growth trajectory. Cutting taxes and increasing fiscal spending would lead to a widening budget deficit, which would be only partially compensated by corporate tax reforms including tax income received on repatriated foreign earnings. International US companies, mainly in the tech and pharma sector, sit on a huge pile of accumulated unrepatriated foreign earnings, currently amounting to roughly $2.3 trillion. Given that these earnings have not been repatriated, US tax payments have been deferred. Trump has promised to stop the accumulation during the election campaign. This would level the playing field and remove a regulatory advantage of companies with large international sales. In particular, this could benefit more domestically focused companies like telecoms and utilities relative to firms from the tech and pharma sector. Trump has proposed a 10% repatriation tax, significantly below the statutory 35% corporate tax rate. Repatriating and taxing the funds would be beneficial for the US economy as the additional tax income is a welcome support for the federal budget and part of the money could be reinvested in the US instead of sitting on companies' balance sheets abroad. With the Republicans controlling both the presidency and the Congress we expect an agreement to be found, including a relatively low effective tax rate for the repatriated funds. Once taxed, the earnings could be used to fund investments as well as share buy-backs or dividends providing a short-term boost to the respective stocks. Will the US become introverted? On foreign policy, Trump seems to favour geopolitical deleveraging. Global consequences could be profound, for example in East Asia where China is increasingly looking for a more dominant position. A retreat of the US could leave a power vacuum and lead to more regional conflicts. 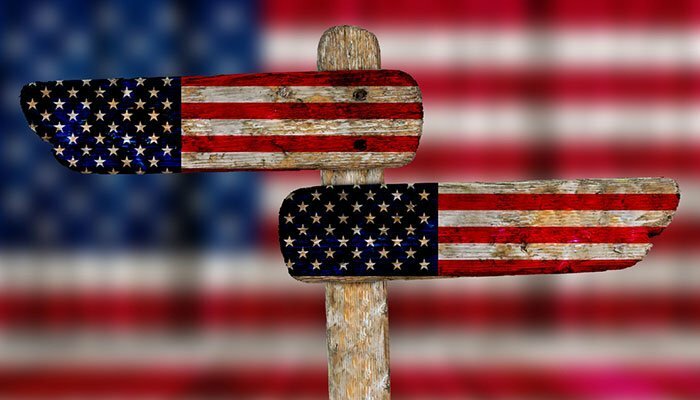 Both candidates opposed further trade liberalisation during the election campaign which is both disappointing and worrying given that free trade and migration are important pillars of the United States' long-term economic success. Donald Trump potentially favours a more protectionist stance, risking a trade war with China and other trading partners. If he follows up on his announcement to impose punitive tariffs on Chinese imports, this could be a significant headwind for global growth and could lead to accelerating inflation in the US, reducing American households' purchasing power. Even if Trump should finally soften his view - which is far from given - the lingering uncertainty around the future US trade policy could be a drag on global growth in the months ahead. There is reason to worry if the world's largest economy, whose long-term success rests on liberal government, trade and migration, is moving towards a more protectionist stance. The strong support for Donald Trump reflects the increasing frustration with the political mainstream as well as the widespread fears with regard to households' income prospects. Trump gained a lot of support from white middleclass voters who fear losing out from globalisation, seeing their jobs move abroad or their wages put under pressure by foreign competition. As such, Trump's victory is not only a vote against the establishment; it is as much a vote against further globalisation, against more open trade, against migration, and against increasing income inequality. It thus reflects similar trends observable outside of the US, particularly in Europe. In the near-term, globalisation and free trade will produce winners and losers but history teaches us that in the long run we are all better off. So it is to be hoped that despite the deep-rooted fears and the aversion to globalisation, free trade and migration that became apparent during the election campaign, the United States under President Trump will remain the leading free market economy of the world and benefit from the numerous competitive advantages it holds.